What makes Branson one of the top family vacation destinations in the US? For many, it’s the variety of entertainment options with something to appeal to any age range or interest. For others, it’s the unique combination of opportunities for outdoor adventure along with world-class shows, outstanding dining and adrenaline-inducing attractions. For families who choose to return year after year to make this Ozarks city the backdrop for their memories, it’s the promise of new experiences at their favorite Branson traditions. Whether you’re planning on visiting for the very first time, or just the first time this season, there are new things to experience everywhere. Of course, the big news at Silver Dollar City in 2018 has been the opening of The World’s Fastest, Steepest & Tallest Spinning Coaster – Time Traveler™. This revolutionary new roller coaster has been delighting guests as they embark on the journey of a lifetime while defying the laws of gravity. See for yourself what folks have to say about Time Traveler™. Known as Branson’s Most Fun Place To Eat, at Dolly Parton’s Stampede you’ll dig into a delicious 4-course feast while you marvel at the entertainment in the ring below. 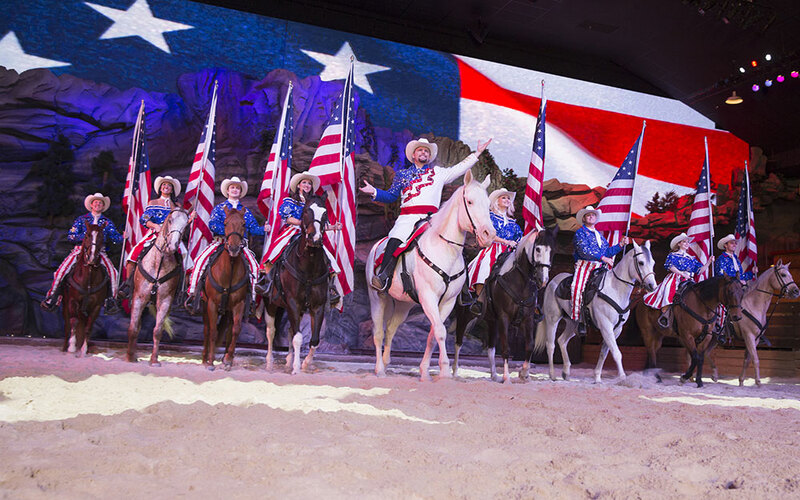 Stampede features jaw-dropping stunts and horsemanship, hilarious comedy, music and signature Southern pageantry. A new addition to the Stampede show this season is the Cowboy Joust. This competitive event features teams on horseback charging the length of the arena with specially-designed lances as they race to hit all of the targets and declare victory for their side. Of course, half the fun is cheering your team on as they race to the finish in this friendly competition. 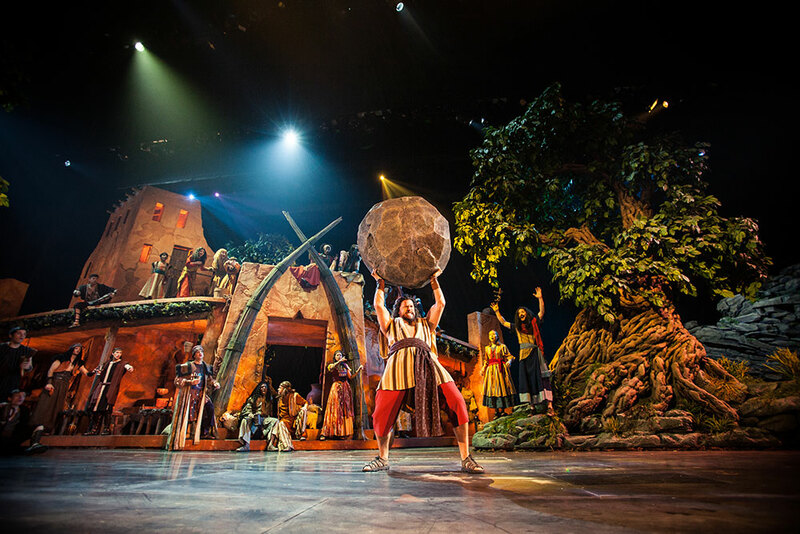 At Branson’s Sight & Sound Theater, the stories of the Bible aren’t just acted out; they come vividly to life through lavish set design, meticulous costuming and breathtaking special effects. Each production features an original score, as dozens of talented singers, actors and live animals perform on the panoramic 300-ft stage. 2018 brings to the Sight & Sound stage the epic tale of Samson, a man with such strength that he slayed a lion with his bare hands and defeated an entire Philistine army with the jawbone of a donkey. When temptation leads Samson astray and the secret to his superhuman power is betrayed by the beautiful Delilah, he’ll lose everything before God’s grace gives him the strength to carry out a final act of heroism for his people. Inside this iconic ship-shaped structure, guests can interact in a truly unique way with the rich history of the RMS Titanic, whose tragic fate is one of history’s most fascinating events. 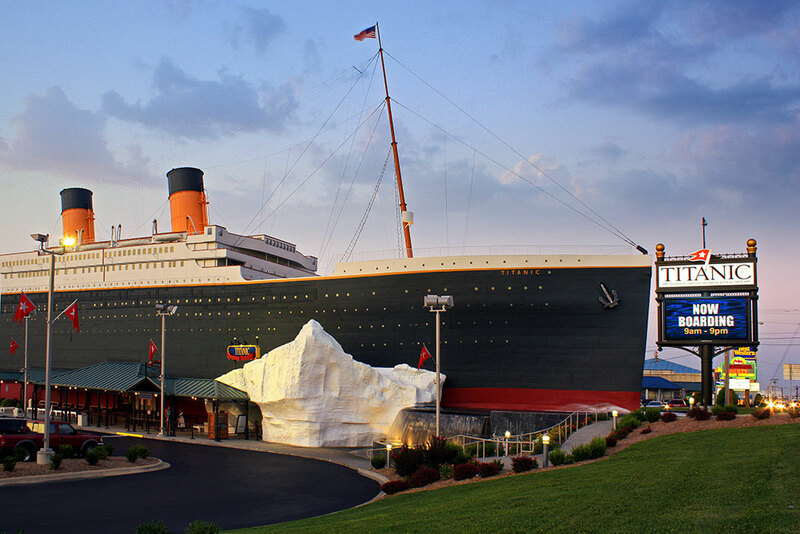 With an extensive collection of Titanic artifacts, meticulously crafted replicas and interactive exhibits designed to engage all ages, guests can connect with the stories of real passengers, touch an iceberg, shovel coal in the boiler room and even experience the sloping decks of the ship as she descended. This season the museum attraction celebrates The Amazing Women on Titanic highlighting the stories of the fated ship’s incredible female passengers and showcases a stunning collection of dresses exemplifying women’s fashion in 1912. Plus, see the only Bible saved from the RMS Titanic and learn more about the heroic musicians who provided the comfort of music on that fateful night! Looking for a way to experience all of these plus other great Branson attractions and save money, too? Customize your perfect getaway with your choice of hotels and attractions and save up to 20% with a Silver Dollar City Vacation Package.